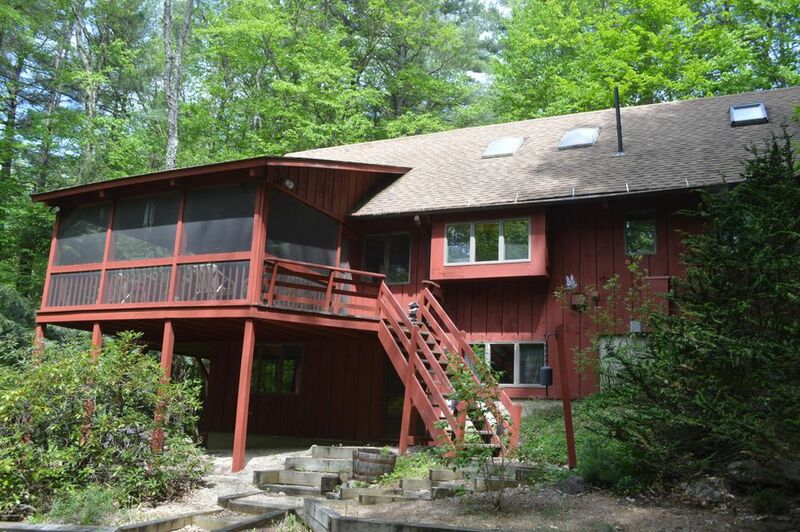 Nestled in the trees for privacy, but sunny open spaces in this 4 bedroom, 3 bath contemporary in Otis Woodlands! Three levels of living spaces for lots of separation when family/guests visit; full baths on each floor. The open living, dining, kitchen connect to spacious screened porch and open deck. Nicely laid out for entertaining. Located in a very convenient spot in this community as it is a short distance from all of the amenities: community clubhouse, pool, exercise building and tennis courts. Wander down to the beach and kayak/canoe from the shores of the association lake. Fun playground for all the little ones too. Make this your vacation/staycation home destination and start creating years of happy memories!